This year marks the 50th anniversary of the renowned 1968 protests: The global rise of social collisions, largely distinguished by popular rebellions opposing bureaucratic elitism and the military, who in return counteracted through the act of political repression.The protests allowed for countless socialist movements to prosper, to realize actions and make an impact within Europe, while simultaneously, social movements were spreading in the USA, Europe, Mexico, and Brazil. 50 years later, the 1968 riots and revolts generate pressing concerns as political climates once again veer towards a growing inclination of right-wing fascism. The global rise of right-wing populism tactically incorporates tropes of mystification generated through post-truth prevalent in fake news, propaganda and corruption. Such a precarious masking of the real, which has made a substantial return in politics and elsewhere, can be understood as the spectacle seen through Guy Debord’s 1967, ‘Society of the Spectacle’. Not being a “collection of images, but a social relation among people, mediated by images,” the spectacle slithers into every crevice of life by commodifying it, creating collective alienation. Today the moment of alienation has been shift to the phenomena of complacency. The pleasant state of complacency brought many to secretly wish for a comfortable, illiberal, authoritarian, corporately maintained society where one does not need to think and dream about the future because tomorrow is cancelled. The polemic question; are we just secretly yearning for a fascist illiberal society that never changes? A dictatorship crystallised in time and space, basking in memories of past glories haunting us like ghosts from a Cambodian Hell can be posed. This exhibition will look into the edges of this discourse, anchoring it in the notion of fear and complacence. The works presented in the exhibition Tomorrow is Cancelled, take into account collective complacence in a world where the degradation of knowledge bleeds into a blindness towards critical thought where everything turns into homogeneous robotic feelings of unconsciousness and political ambivalence. 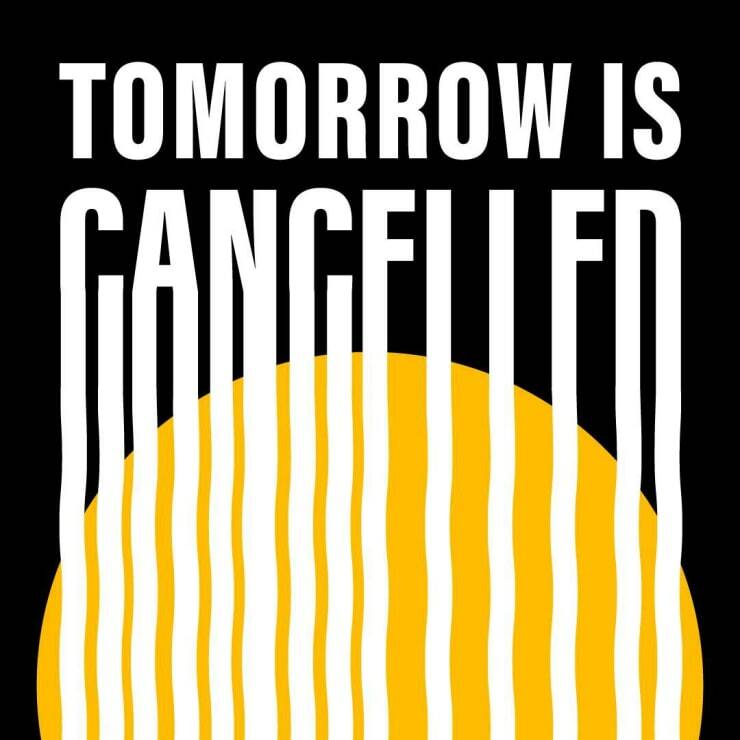 Tomorrow is Cancelled is the exhibition realised in the framework of the Curators’ Agenda, an annual curators-in-residence program organized by BLOCKFREI association in partnership with the University of Applied Arts Vienna. The program is supported by the City of Vienna and the Seventh District. The challenge of the show lies in the input and collaboration of a group of international curators developing and producing the exhibition together during the six-week program.